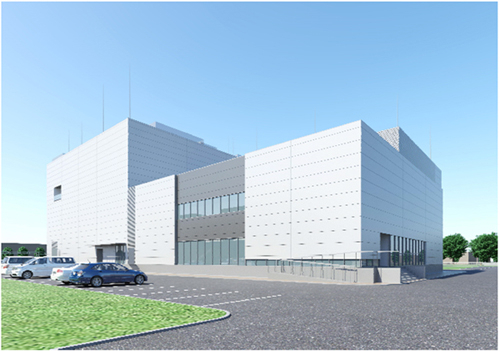 Taiho Pharmaceutical Co., Ltd. announced today that it held a groundbreaking ceremony on June 1, 2017, for the construction of a new building for the production of highly potent pharmaceutical ingredients (HP building) at Saitama Site in order to promote in-house development of new drugs. The company plans to produce highly potent pharmaceutical ingredients for molecular targeted drugs, focusing on anticancer drugs, at the HP building, enabling flexible and rapid responses to development plans for new drug candidate compounds discovered in-house and also leading to the promotion of global development. The active pharmaceutical ingredients (API) manufactured in the HP building can be used for initial commercial production, and a different containment technology from manufacturing facility of general API is adopted to ensure security of employees and surrounding area. With the construction of the HP building, Taiho Pharmaceutical will speed up new drug development in an effort to promptly deliver innovative new drugs to patients and medical professionals. Information in this news release was current as of the original release date. Copyright © TAIHO PHARMA SINGAPORE PTE. LTD.